Here’s a list of some of the most popular (and delicious!) dishes Catalan cuisine has to offer. Most information has been provided by our collaborator Berta Creus, from Emotioners. 1. Pa amb tomàquet (bread with tomato). This is very simple: spread half tomato on a slice of bread, add olive oil (the quality of the oil is really important here) and a bit of salt. 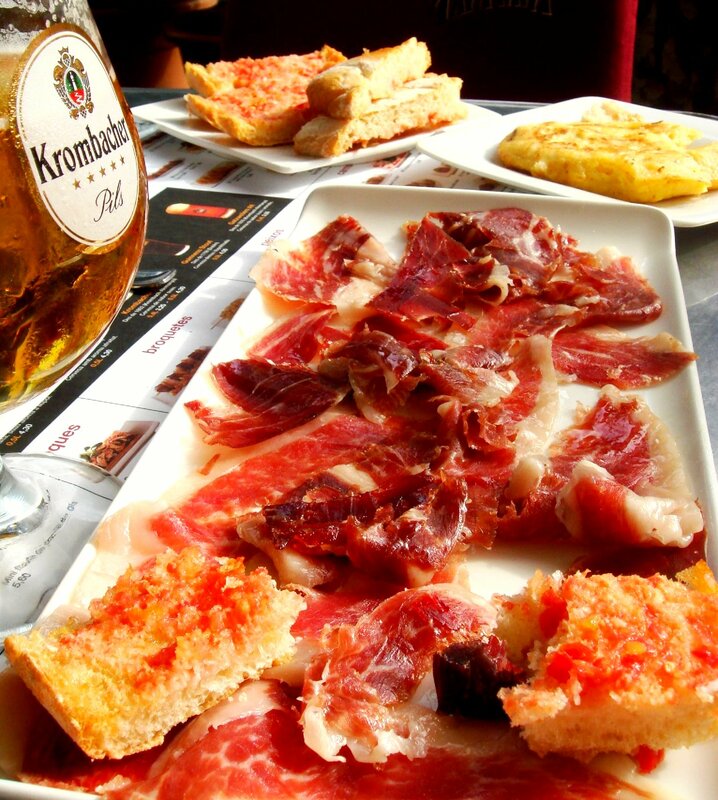 It is usually served with cold meat (the cured ham and the fuet are especially recommended) or cheese; we have a wide variety of all of these: from cheap supermarket products to high-quality products that you could probably not afford. Actually, if you buy a sandwich in theory it should ALWAYS be made with “pa amb tomàquet”, although we have recently seen many places (only in Barcelona) where they are not doing it anymore. A pity! This recipe was conceived in rural areas in the eighteenth century due to the abundance of tomatoes, which were used to soften the dry bread. It consists of a slice of bread with a half mature tomatoe rubbed into it and seasoned with olive oil and salt. 2. 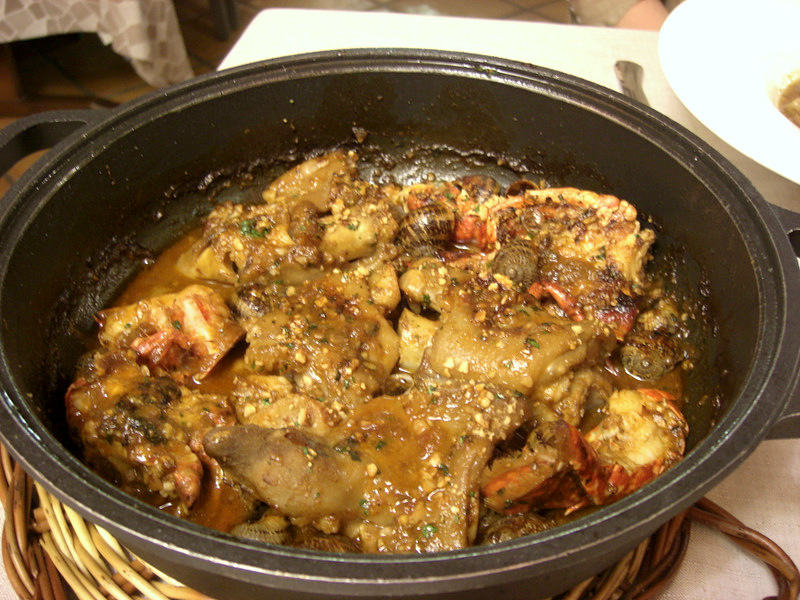 Peus de proc (Pig’s trotters). Pig’s trotters cooked slowly for hours with vegetables and broth. If you like heavy meals you have to try it! 3. Cargols (Snails). Yes, you heard it right: we eat snails! Well, we have to say that not everybody likes them but a lot of people think they are delicious! They are usually cooked in two ways: “a la llauna” (only grilled with salt and pepper) or “a la cassola” (cooked with spices, meat and juice). If you are brave enough to try them you will love them, we promise! 4. Coca de recapte. This is a Catalan kind of pizza. The shape is rectangular and there isn’t cheese on top. 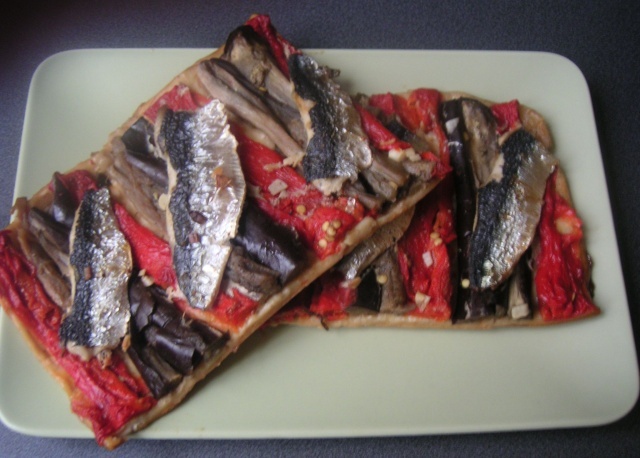 It is usually made of red and green pepper, onion, aubergine, tomato and then either botifarra (the minced meat sausage) or sardines. 5. 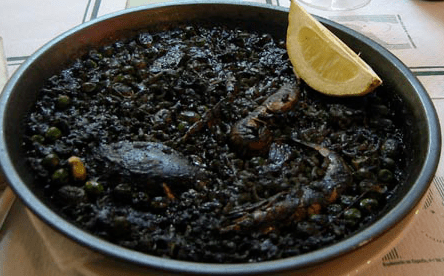 Arròs negre (Black rice). You’ve heard about Paella, right? Well, this is a variety of it. In this case, the rice is black because of the ink of the cuttlefish. Sometimes the seafood is ready so that you don’t need to peel it, and the taste is quite different from the typical paella (which is actually from Valencia). 6. Esqueixada de bacallà. It is also a very simple dish, it is shredded cod, tomato and olive salad. Cod is very important in the Catalan cuisine and you may see it in several receipes. 7. Crema catalana. This is a kind of custard that you will probably see in most of the restaurants as a dessert. If it’s correctly prepared it should be served in a clay small recipient and with burnt sugar on top.